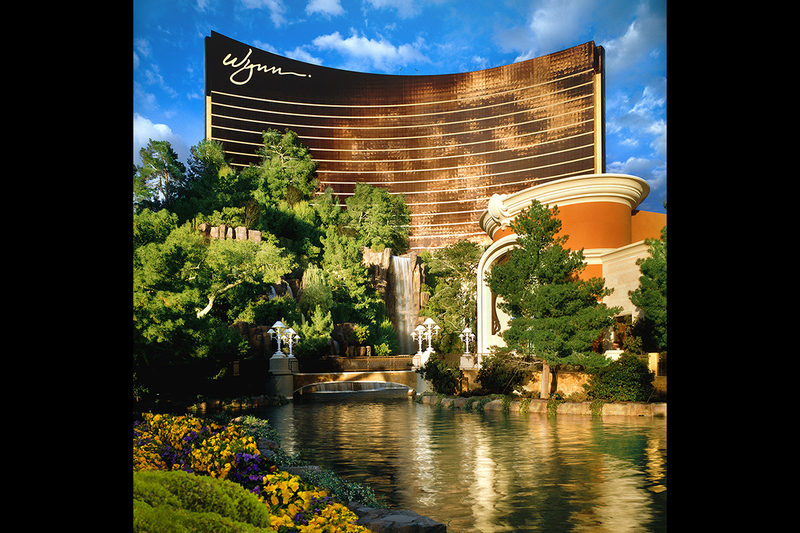 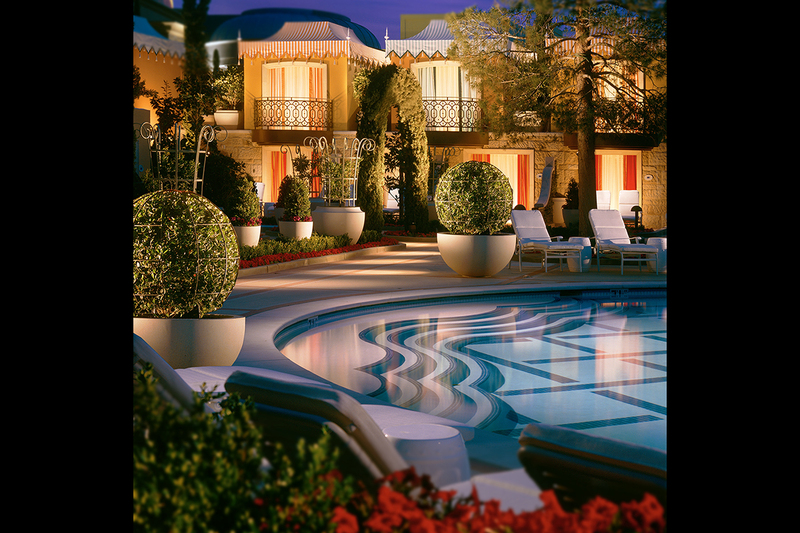 Wynn Las Vegas sits on more than 50 acres, with 20 acres devoted to gardens, yet feels like a very personal and intimate boutique-style property. 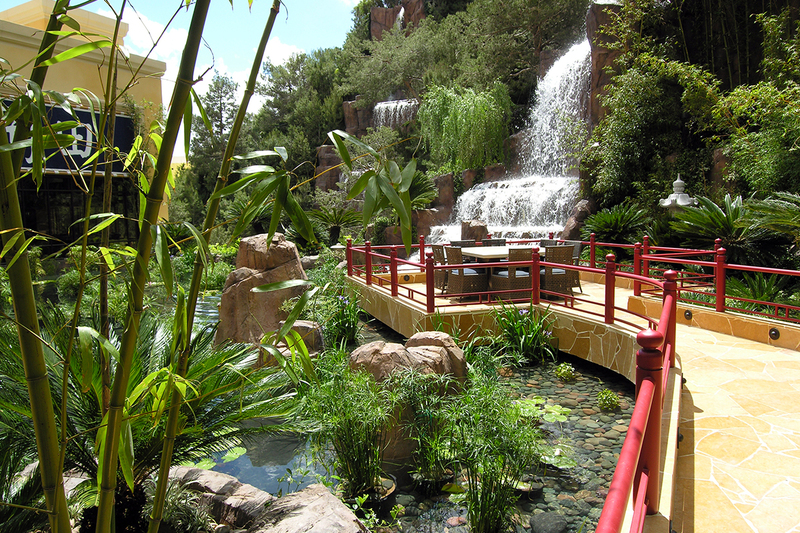 A pine tree- covered, 140-foot-high mountain in the front, along the Las Vegas Strip, complete with cascading waterfalls, creates a sense of privacy from the hustle and bustle on the Strip, while enticing visitors and guests to come inside! 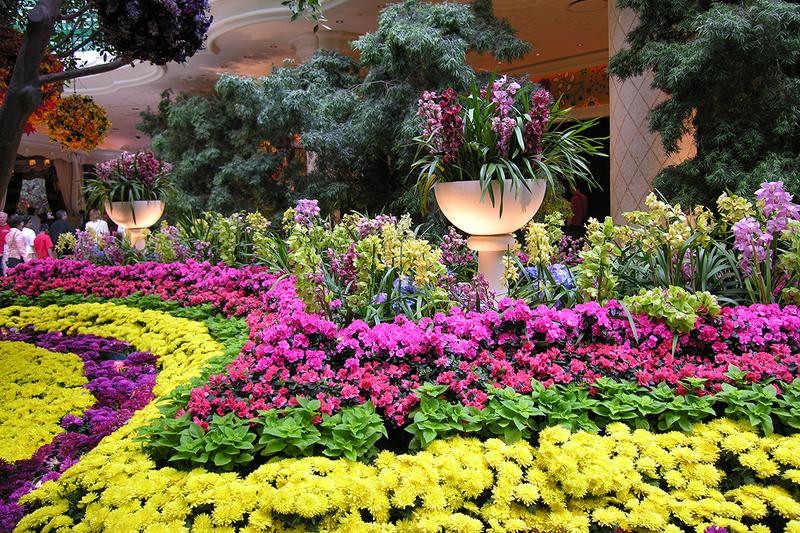 The restaurants along the shoreline each have their own particular garden settings. 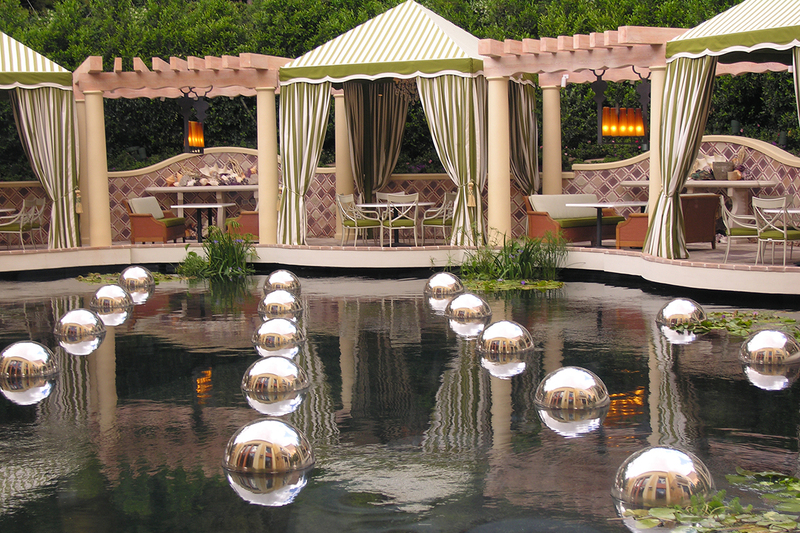 In addition, there are a total of 18 pools throughout the property; private cabanas are situated along the main pool area as well as the Tower Suite pool, and an interior garden atrium features over 1,000 flowering plants canopied by majestic banyan trees. 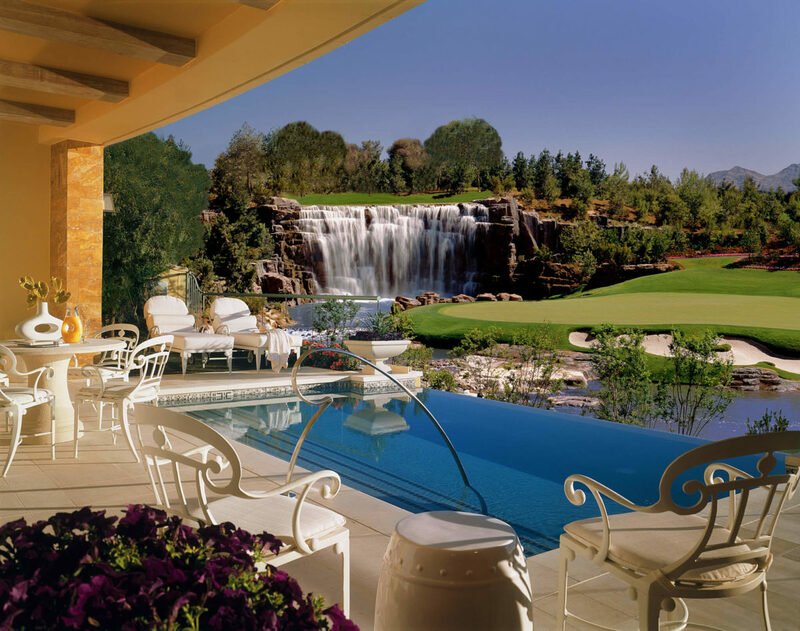 The golf course, designed by Tom Fazio, with landscape settings by Lifescapes, completes this all-inclusive destination resort.